Christian Gulliksen November 19, 2015 Comment Now! 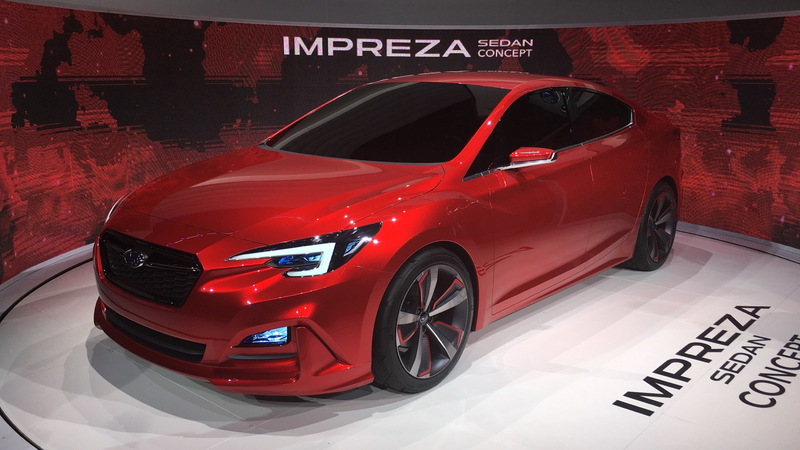 Unveiled at this week's Los Angeles Auto Show, the Subaru Impreza Sedan concept would be bigger news if we hadn’t just seen the nearly identical Subaru Impreza 5-Door concept at the recent Tokyo Motor Show. Like the similar 5-Door, the Sedan features familiar design elements like a hexagonal grille and “hawk-eye” headlights. 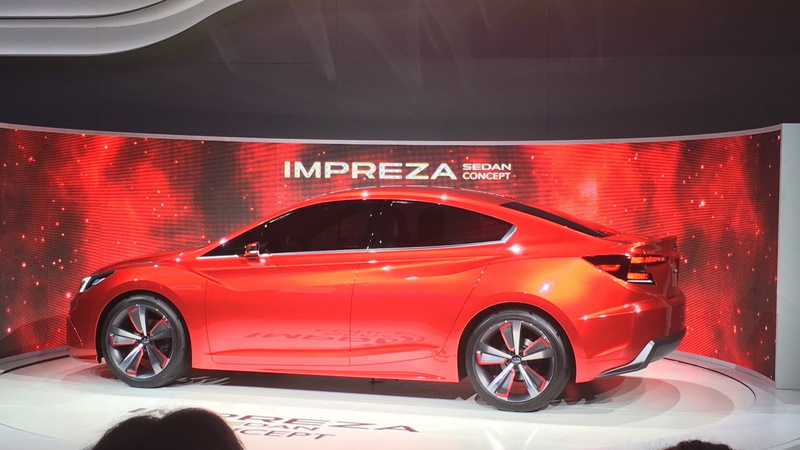 But the lines of the car, which presage a change in Subaru’s design direction, are more sculptural and aggressive than the current Impreza—and certainly far sportier than the performance-oriented WRX, which Subaru says will continue on a somewhat different product cycle and design tack. According to the concept’s designer, C-shaped elements in the front fascia are inspired by the layout of Subaru’s ubiquitous boxer engine. The Sedan differentiates itself from the 5-Door with a coupe-like C-pillar and—obviously—a trunk. 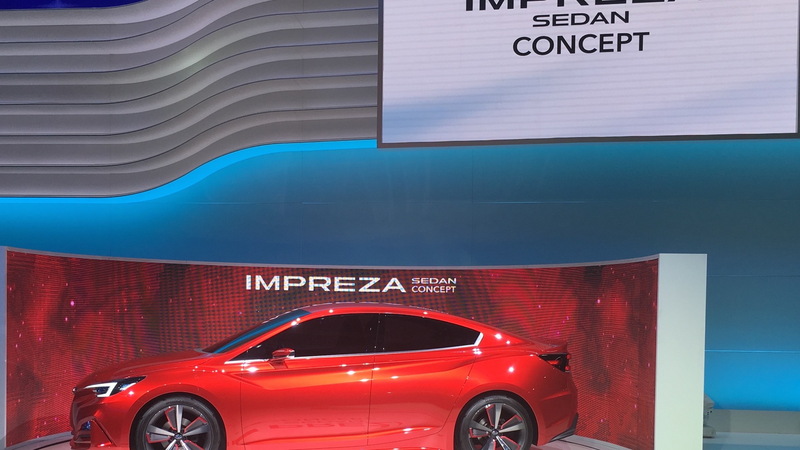 In his remarks at the concept’s unveiling, Tom Doll, CEO for Subaru of America, spoke of the manufacturer’s commitment to offering sedans in its lineup. 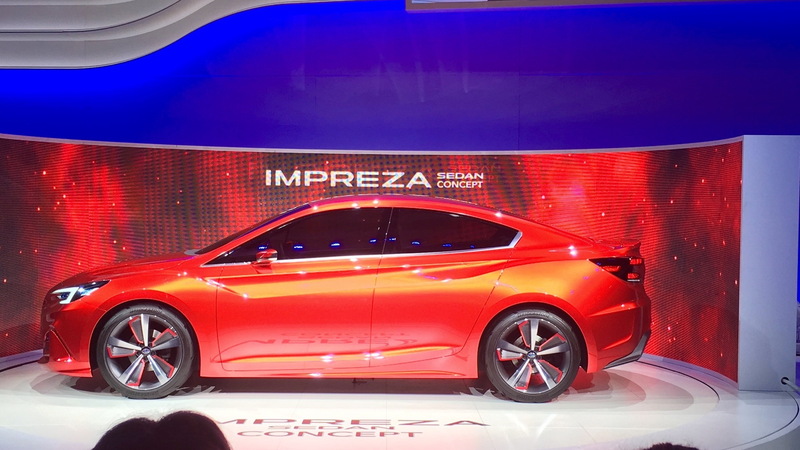 The Sedan concept is being used as design inspiration for the 2017 Subaru Impreza, prototypes for which you can view here. 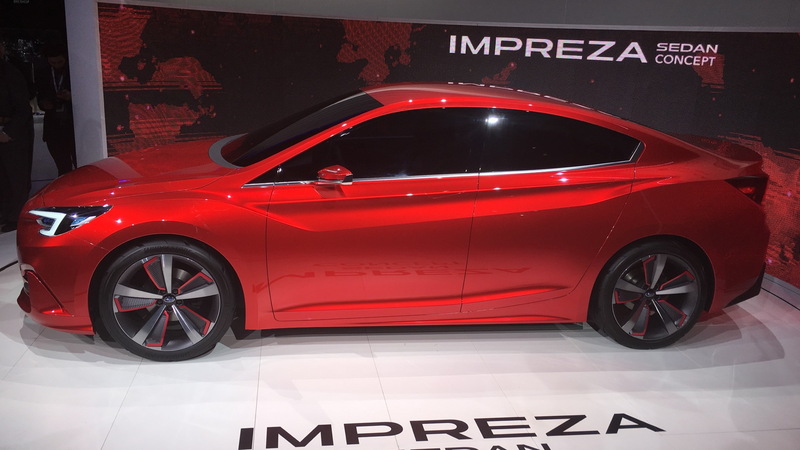 The car will be built at the Lafayette, Indiana, factory when production begins in late 2016. The automaker’s sales have been on a winning streak, and Subaru plans to create 1,200 new jobs at the facility as it doubles output to 400,000.